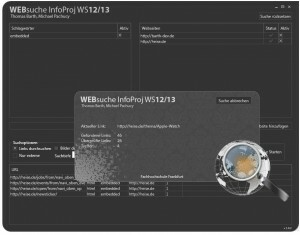 WebSuche is a Project I worked on during my bachelor studies, it was my very first .net application. The idea is to have a software that is searching for keywords on defined webpages. It is also checking images for keywords by doing OCR. 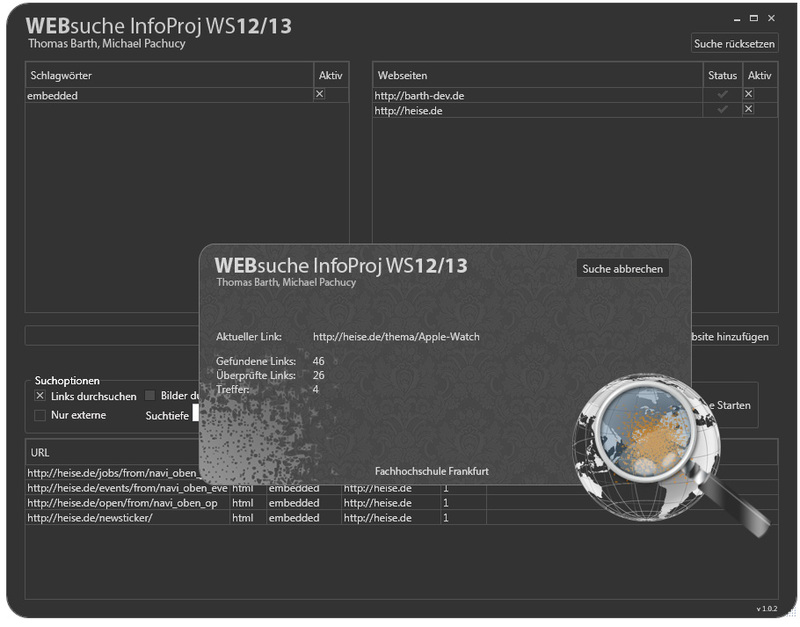 You can define how many levels of depth to search as the software will find links and follow them.